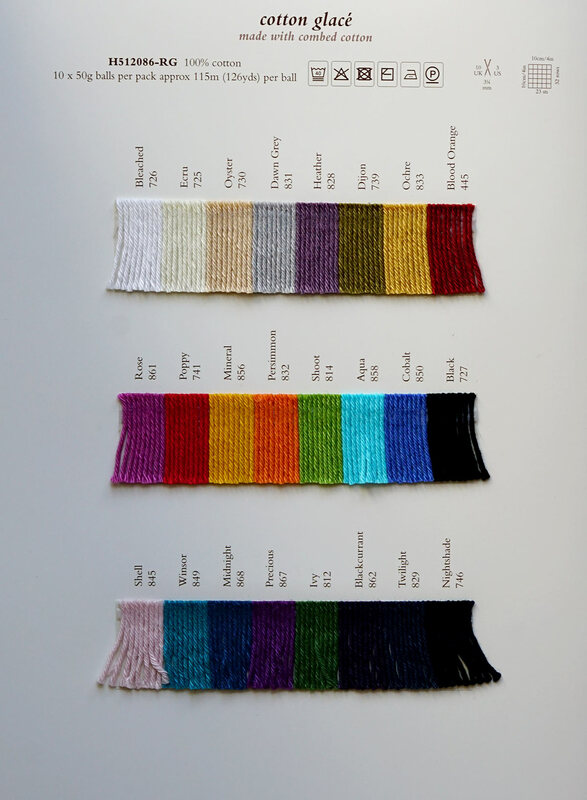 Yarn Type A mercerised 100% cotton which sits between the dk and 4 ply weights making it lighter to wear and to handle. This throw with alternate spot and stripe panels uses Cotton Glace. Knit this ladies long line tunic dress, with all over lace pattern. Designed by Marie Wallin using the beautiful yarn Cotton Glace (cotton), this tunic has a wide neck, drop shoulders and deep ribbed welt. Kaffe has designed this cushion in his own unique and inimitable style, exclusively for the web site using Cotton Glace. Kaffe has designed this throw in his own unique and inimitable style, exclusively for the web site using Purelife Revive and Cotton Glace. Kaffe Fasset has designed this cushion in his own unique and inimitable style, exclusively for the web site using Purelife Revive and Cotton Glace. Knit this mens v neck cardigan, the member's exclusive free pattern for April 2015. Designed by Lisa Richardson using Cotton Glace (cotton) and Silkystones (silk and linen) worked together for the main body, this textured cardigan has pocket detailing, contrasting edges and set-in sleeves. Monochrome is always in fashion and keeps coming back around on all the catwalks. This edition of Rowan Studio shows the hand knit interpretation of this trend. Each garment has its own unique take on the black and white mix, some simple colour changes and more complex stitch patterns mean that there is a garment in this collection for all knitters from beginner to the more experienced. 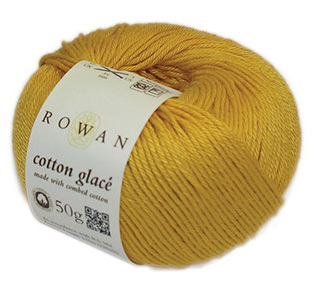 A classic collection of 8 simple-to-knit womens designs using Rowan Cotton Glace. All designs are by Martin Storey.These pieces are designed to be worn through the cool spring months, warm summer evenings and even in to the fall season. From slouchy & oversized silhouettes to favourite cardigans, boxy jackets and neat, fitted designs. They have a strong daytime look of investment, wardrobe pieces.